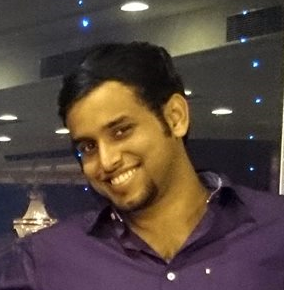 Hello, I'm Ravi Roshan, currently working as Technology Consultant at Deloitte Consulting, Bangalore. I am Microsoft Certified Professional, Microsoft Solution Developer and was part of the elite Microsoft Student Partner program, India. Apart from being a Technology Enthusiast, I am a big time foodie and a Nature Lover. In short, I can be described as techie by love, engineer by field, coder by passion, developer by choice and human by heart. Also having profound knowledge of working on Native & Hybrid mobile applications using React Native & Marmalade. When you learn something from a community, get something as a reward or feel blessed. Please select the option below. Copyright © 2014-16. All rights reserved.